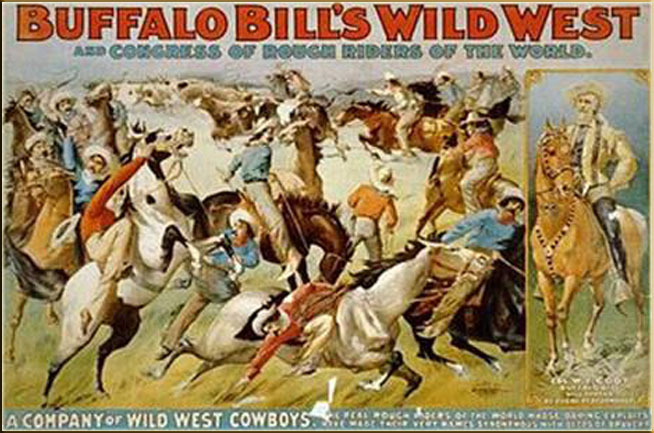 An interesting point in connection with Buffalo Bill Wild West Exhibition is the fact that the participants therein collectively represent men who have been throughout the world since 1861, with the exception of the Japan-China dispute and the Boxer uprising. Col. Cody himself a veteran of the Civil War of the United States, and was also chief of scouts in the Indian outbreaks in Western America. The leader of troupe of Cossacks wears the Cross of St George, presented to him by the Tsar for bravery at Plevna during the Russian Turkish War. There are two men now appearing with the United States Cavalry, who were on the winning side in the Franco-Prussian controversy, while among the English contingent are men who have seen service in India, Egypt and later on in South Africa. The detachment of Unites States Cavalry and Artillery boasts of veterans in the recent war in the Philippines. Roosevelt’s Roughriders claim, among their number Tom Isabelle who fired the first shot at the battle of San Juan Hill and fought side by side with Cuban Patriots who now follow their own flag in the congress of the riders of the world. Nowhere else in the world are to be seen at one time, and in one arena, men who have been behind guns in so many different campaigns as now appear in Col. Cody’s unique exhibition which is announced to give performances here July 4th. 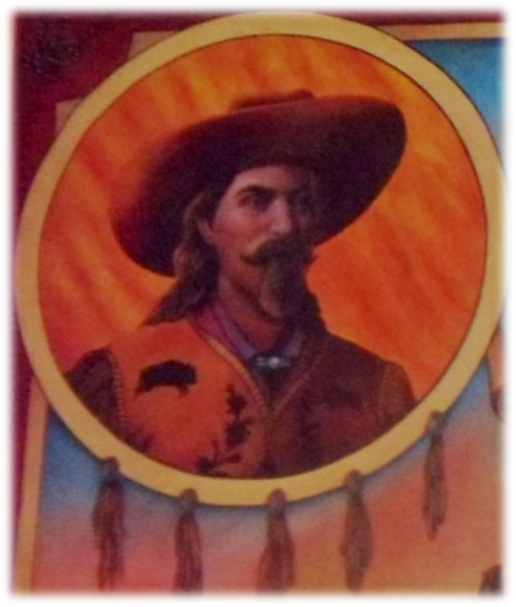 The event of the season is close upon us Buffalo Bill is within hailing distance and will arrive, with his great Wild West exhibition on July 4th. There are not, in any other organisation for popular entertainment, so many hundreds of male performers and horses as appear in the arena of the Wild West, and not in many mere “shows” however pretentious they may be, are there such a number of men engaged in re-enacting for the public, thrilling incidents of real life in which they themselves have participated. Genuineness of personality in personation has been a distinguished characteristic of this entertainment ever since its first organisation by Col. W.F. Cody “Buffalo Bill”. While the arena performance is full of vivid, stirring Wild Western scenes, it has been expanded to take a vast deal more illustrative of strong men and their doughty deeds all over the world and includes some splendid spectacular effects in the reproduction of the “Battle of San Juan Hill,” the most famous incident of the late Spanish-American War. The weather conditions which so often interfere with outdoor attractions, have no terrors for Buffalo Bill and his congress of rough riders, performances being given, just as advertised rain or shine, for while the participants in the exhibition themselves are sometimes compelled to do their work in the rain, patrons suffer no inconvenience on this account, insomuch as all the seats are protected by an immense canopy which is thoroughly water-proof and will with stand the hardest downpours. The other day we had an interview with Major Burke, the representative of Buffalo Bill, the Major wished to remove some erroneous impressions regarding the Wild West Show. Some people, he said, were under the impression that it was a mere circus, but this unique organisation of Col. Cody is infinitely more. Besides being the best and grandest exhibition of horsemanship that the world as ever produced, it is a perfect representation of life in the “Wild West.” This is a rare opportunity Aberdare has ever witnessed such a sight before and never will again, as Col. Cody is on the point of retiring. To those sceptics who are doubtful whether the whole show will be present at Aberdare, be it known that the show-the whole show-will be brought here, same as Liverpool or Manchester or any large town.